Included in our signature pizza oven kits. Great for beginners learning to make pizza. A great option to hand tossed pizza dough. Will help you create the ultimate thin pizza. 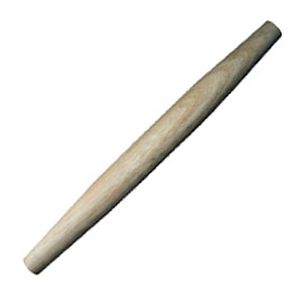 Wildwoods classic light Wood pie roller rolling pin. Try saying that ten times fast! Most home cooks have a rolling pin, but even if you do, we bet it’s not like this. Crafted in the traditional French style, this rolling pin allows for a more tactile control and maneuvers better than rolling pins with an axle and handle. The curved ends allow the chef to feather the dough edges with incredible control and precision. Works great as a meat tenderizer or a kitchen defense tool.